Lime Rock Park just distributed this communication to clear a few things up. It's a good read, especially for those planning track events there in 2014. Skip Barber is at the North American International Auto Show in Detroit. Yesterday, he ran into a colleague who is close to but not in the racing business. He asked Skip, "Hey, so what's Lime Rock doing since it doesn't have any races this year?" All Skip could do was muster a bemused smile... perplexed how even knowledgeable people can harbor misconceptions of that sort. So Skip thought now would be a good time for Lime Rock Park to bust a few myths. Myth: "Lime Rock Park doesn't have any races this year." Actual: The net result for Lime Rock of the merger of Grand-Am and ALMS is that we went from hosting five major events to three, and those three – IMSA Continental Tire Sports Cars/Porsche GT3 Cup, Historic Festival 32 , and the Trans-Am Season Finale – are big-field, exciting, solid race weekends, all with excellent support races. 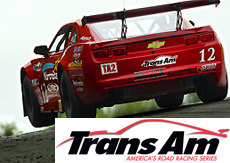 As usual, there are also the two SCCA races, including the NARRCS, a Lime Rock staple for more than 50 years. Myth: "If a racing or driving club doesn't schedule dates with Lime Rock in 2014, it has no hope of getting a date in the future." Myth: "Lime Rock closes in November and re-opens in April." Actual: Nope. Lime Rock rents the autocross and hospitality chalets all year round, and even the 1.5-mile track is rentable under certain conditions. Not to mention that the Scheduling, Marketing, Accounting, Operations and Catering Departments are extremely busy preparing for the next season. Myth: "Skip Barber wants to sell the track." Actual: He's not sure if he's undecided (lol), but Skip's current plan is not to live forever. And one day in the future, yes, he would like to sell the track. And yes, to someone who can ensure Lime Rock's future. Please, no more golf course inquiries, ok? Skip is the ultimate caretaker of Lime Rock and will one day leave it to someone to do the same. Until then, the track remains in his hands. Myth: "Lime Rock has no cell- or smart-phone coverage." Actual: Not true. There is a 3G AT&T cell tower (4G by April) between the two infield chalets, and last month Verizon activated a brand new 4G tower two miles up Route 7. We hear there is a good chance other carriers will rent space on the Verizon tower, too. 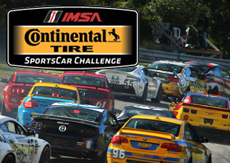 The bottom line is that Lime Rock Park is well-staged for a successful 2014 and beyond. Skip Barber has not lessened his ongoing commitment to continually improve both the fan and driver/competitor/team experience at Lime Rock Park. 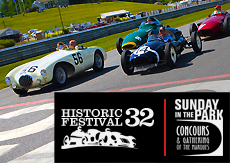 Go to limerock.com for the latest information, and we encourage your feedback by writing to us via info@limerock.com.